Are You Looking For A Reliable Mover In Hemet? Call (951) 894-6465 Today! 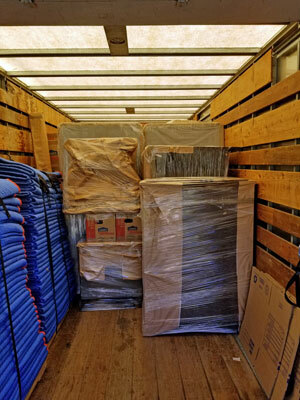 Getting ready for a local residential move in Hemet, California? Changing homes or apartments can be surprisingly stressful, but choosing the right moving company goes a long way in putting worries to rest. If you’re moving in Hemet or nearby, we’re the local choice. We’re a professional moving company. We’re fast — efficient, but not rushed. Our moving services handle your furniture and other possessions with care. Our work can be full service combining storage, moving and packing. Or simply transport a large appliance or piece of furniture that won’t fit in your vehicle. Just let us know when when you’re moving and well walk you through the options and schedule your moving day. In business for over 15 years, we’re a family owned and operated Hemet moving company. We provide great services for local residential, small office, and furniture-only moves along with optional packing and/or storage. We’ll arrive right on time and treat you and your possessions with respect and care. But don’t take our word for it. Check out our many Yelp and Google reviews. Rightway is fully insured and licensed by the California Public Utilities Commission (CAL T 189696) and the Federal Motor Carrier Safety Administration (US DOT 1154565). When you request an estimate we make our free in-home quotes as accurate as we can, transparently disclosing any anticipated special factors. And we offer discounts for seniors and military personnel. Our professional movers specialize in residential moving services, starting with our free in-home estimate. We’re ready for all household items, and with us, everything’s handled with care. 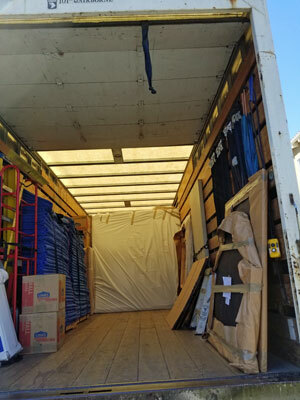 To save you time and trouble on your local residential move in Hemet, our packing services can work to your schedule regardless of the actual move-out day. Need business or personnel relocation? We’re a Hemet moving company ready for office moves of just about any size as well as for business equipment and inventory moving and packing. And our commercial local moving services cover the LA-San Diego corridor. We understand that a simple “thank you for your service” just doesn’t measure up. So in addition to military discounts, our crews include full-time and part-time vets. 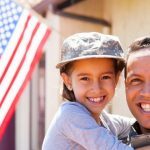 As an experienced military moving company we know your furniture and belongings get shipped around a lot, so we take extra care with our military families. We understand how you might want to handle packing and transporting those boxes yourself. So we’re ready to complete the job by taking care of your home or office furniture. Our pros are also happy to take on one-item jobs. So call us when you realize that a couch or big-screen TV is more than you can handle. along with cable and TV companies at http://www.cityofhemet.org/index.aspx?NID=484. Once you’re here and settled in you’ll be looking for things to do. Hemet is famous for the Ramona Pageant, one of the longest running outdoor plays in the US (since 1923!). But there’s dozens more. Here’s our Top Ten List of Things to Do in Hemet, starting with number 1 in popularity. Get Rid of Clutter. If you don’t love it, use it, or need it then get rid of it. That’s what garage sales and charities are for. If there’s something that might seem like junk but you can’t bear to part with, that’s fine. It’s a love-it item that will ease your transition into your new house. Still Cluttered? If you’re still in the selling process consider renting a storage unit for anything you don’t need for staging your home or what you need to use in the next several weeks. Set aside important documents so they don’t get mixed in during any last-minute packing rush. Make sure to order moving boxes and packing supplies far in advance just in case something’s in short supply. That will also let you get started packing early. Important supplies include paper, padding, tape, and markers. After giving you an estimate, your moving company will have a very good idea of how much you’ll need. Ask your movers to bring wardrobe boxes. That way your clothes stay on hangers for super-quick packing and unpacking, with no ironing needed. Or cover a group, still on their hangers, with a trash bag and move them yourself. Find the important resources near your new home — the nearest grocery store, the best route to your doctor’s office, where the kid’s school is, and so on. It helps to focus on the excitement that you’ll soon be in your great new place (that counts as a tip, by the way). But there’s packing, lots and lots of packing. Here are more tips on what you need to do before the moving company arrives for a less stressful move. Pack room by room, one room at a time. Mark each box with the room and the box’s contents. Put that on 2 sides so the label info will always be visible. Don’t move empty suitcases! They’re perfect for toiletries and next-day clothes — just like you were going on a trip. Not everything needs to go in a box. Things from a dresser can be quickly wrapped and returned to the drawer. Linens and towels can go in empty furniture nooks. Use beach towels and older blankets as padding around furniture and artwork. Avoid buying frozen foods — they don’t travel well! Document the condition of your home with photos and notes to establish the condition it was in when you left. That includes walls, ceilings, flooring, and fixtures, inside and out.